How does a fast-paced digital marketing agency ensure that staff holiday doesn’t slow down project delivery times? For Evoluted, the answer is embracing leave management software. The UK business tracked staff movements using its office whiteboard in the early days, but by 2014 it had 20+ employees – and this manual process simply wasn’t up to scratch. To make sure that employee absence wasn’t compromising its standard of service, Evoluted needed to invest in an online leave management platform, and WhosOff ticked all the boxes. comments Sean Potter, Evoluted’s Head of Content. 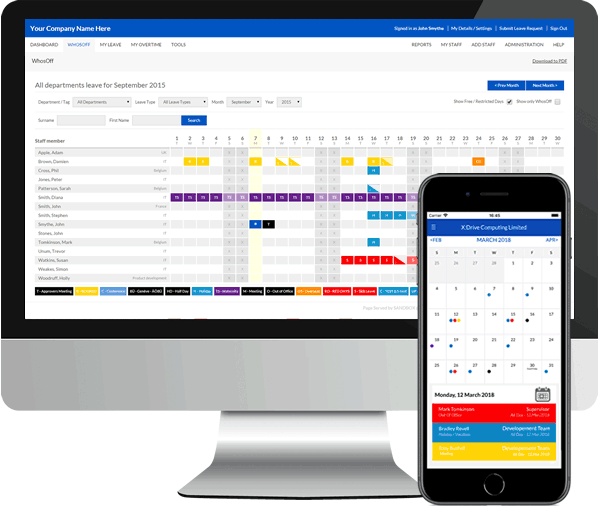 WhosOff has streamlined the holiday request process for Evoluted staff, making it quicker and easier to approve leave while avoiding calendar clashes. Read Evoluted’s story here to see the full benefits of leave management software.